We LOVE Instagram! Check out our feed below and feel free to follow us here! Hi and welcome! 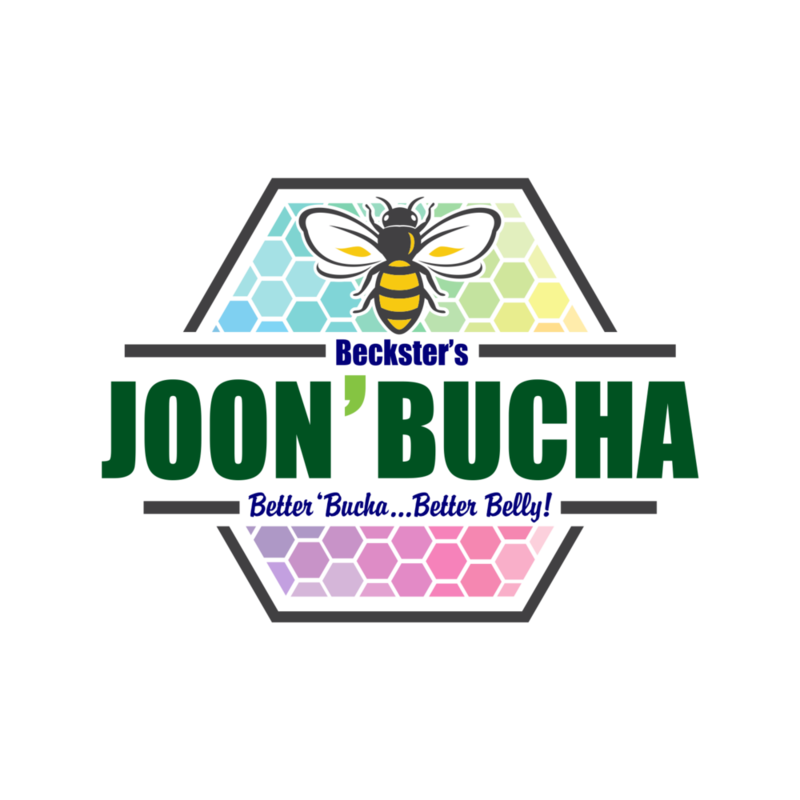 Feel free to take a look around and learn more about our Joon'Bucha! It's a light and crisp fermented tea beverage made from Jun kombucha. 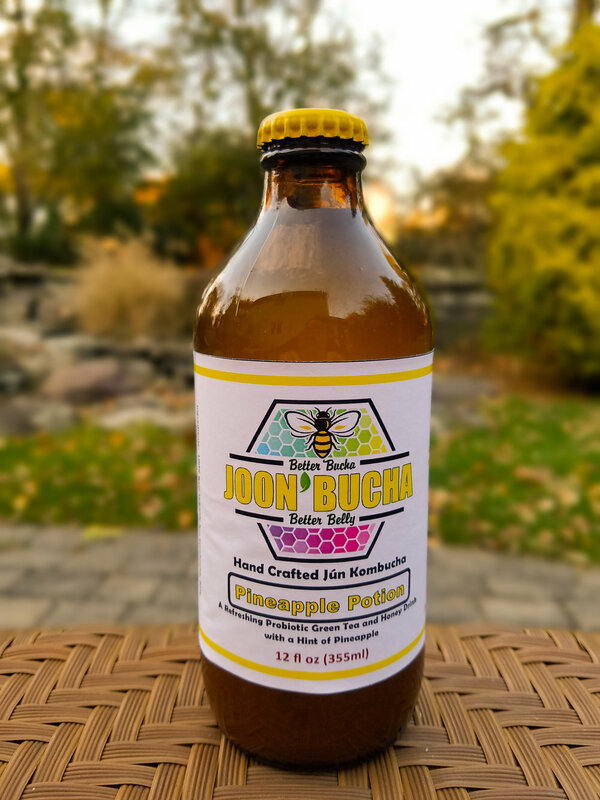 We hand craft and brew our Joon'Bucha in small batches of 2.5 gallons to ensure it receives the utmost attention and love. These batches are fermented in only glass containers to ensure the highest levels of quality and safety. Lastly we only bottle in amber bottles to protect the 'buch from harmful UV rays. Feel free to contact us with any comments or questions! Who doesn't like apples? From Adam & Eve to Johnny Appleseed, we've all been enamored with these little perfectly shaped fruit. It doesn't matter what color you prefer: Yellow, Green, Red, Pink or a blend, there's a reason why you give 'em to your favorite teacher! This isn't your kiddie's apple juice, but a complex symphony of bubbles, sweet apples and slightly tart 'buch! Apples are high in antioxidants and polyphenols. 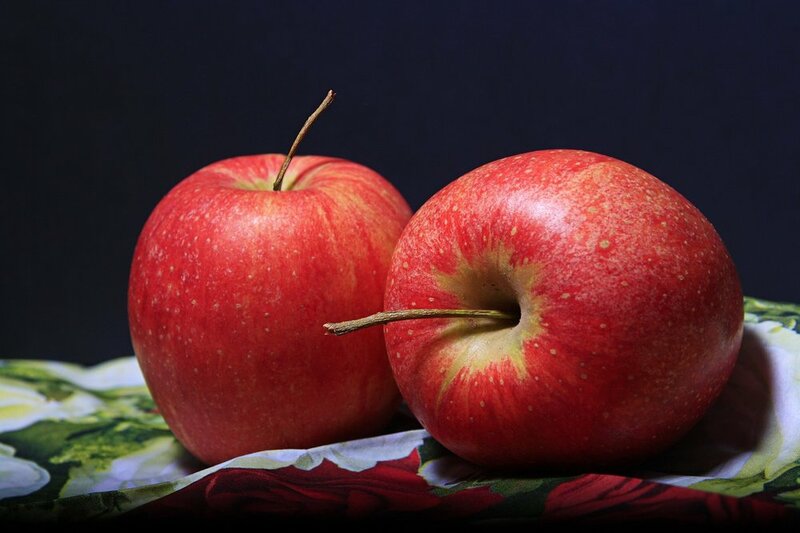 Awesome Apple is our smoothest flavor with just a hint of apple. It's a great option for those just starting out with kombucha. Blueberries and Pomegranate - who thought these two would go together better than peanut butter and jelly, Crockett and Tubbs or Batman and Robin?! Blueberries and Pomegranate blend together to give you our purple Smooth Berry 'buch. Purple is the color of royalty, and you'll feel like a king or queen after drinking this smooth and subtle concoction of the odd couple of fruits! Blueberries are very high in gallic acid and phenols, while pomegranates are a great source of antioxidants and vitamins. Smooth Berry is lightly flavored with sweet blueberry and slightly tart pomegranate. It has our most subtle flavor profile, and is a great drink for *noobs* and professional 'buch drinkers alike. Wanna dance? The mango is just beginning to get the attention it deserves! Luscious and juicy with an outside that often doesn't represent the pure joy it contains within. We're big fans of both the mango AND the tango, so put on your dancing shoes and take this one for a spin. Mangoes are a great source of fiber and vitamins A and C. Mango Tango has hints of citrus with a heavier mango nectar profile. Cherries are known as a super food and are a great source of potassium and vitamin C. Our Cheeky Cherry is our tartest selection. It combines the taste of tart cherries with just the right amount of sweetness. Nothing sends you on a tropical daydream quite like pineapples. Who would have thought this prickly fruit could contain such a delicious treat. They're a pain to cut and prepare, but we've already done it for you - you're welcome! All that's left is for you to enjoy the sweet and refreshing taste of our lively and boisterous Pineapple Potion. No need to be a wizard or witch to enjoy THIS potion, but it certainly will cast a spell on you! Pineapples are high in vitamin C, manganese (great for bones) and bromelain (great for a ton of stuff-skin, blood, etc.). Pineapple Potion is our most effervescent and bubbly flavor. It's a great option for seasoned kombucha drinkers as well as those trying to transition away from sugary soda drinks! Everything we do, and make, centers around trying to make life better. For that reason we use only premium natural and organic ingredients. Like everything in life, we believe that things happen for a reason; and behind every challenge lies opportunities and lessons. In 2013 I was what you would call a "non-believer". I used to rely only on conventional medicine, "regular" diet and exercise. But when I was faced with an unexpected life-threatening health scare - and the conventional things no longer worked - I had to look into alternative methods to start feeling better. I went through health food stores and websites looking for alternative ways to boost my health & immune system and rebuild my gut health. That's when I stumbled upon kombucha. The problem was the store-bought ones I tried just didn't taste good at all! So I decided to make my own. My first mother SCOBY (Symbiotic Culture of Bacteria and Yeast) bloomed and I discovered I had a kombucha green thumb! The first batch was born in my very own kitchen. Joon'Bucha is a version of kombucha (a bubbly fermented tea). It contains natural probiotics and vitamins. We use only organic green tea, raw organic honey, and organic fruit juices, and handcraft our Joon'Bucha in small batches of 2.5 gallons each. We strictly use glass fermentation vessels to keep the Joon as natural as possible. It's then bottled in amber glass bottles to protect the probiotics from harmful UV rays. Joon (Jun) is often referred to as the "champagne of kombucha", and has been enjoyed in countries around the world for centuries. In fact, the word "Joon" means "life" in Persian! Our product is RAW and naturally gluten-free! It's a wonderful alternative to sugary drinks and sodas. So how are we different from the others? Read on! We use only the finest, all natural ingredients. Yup, we know others say this, but we mean it! From organic fresh pressed fruit juices and green teas to raw, organic and unfiltered honey (the way nature intended it!). 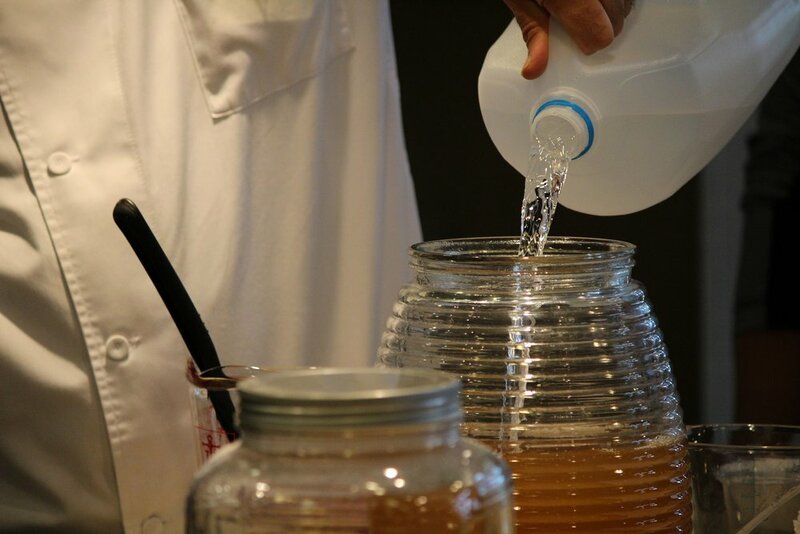 Our SCOBYs (Symbiotic Culture of Bacteria and Yeast) are the cultures which turn sweet tea into Joon'Bucha. 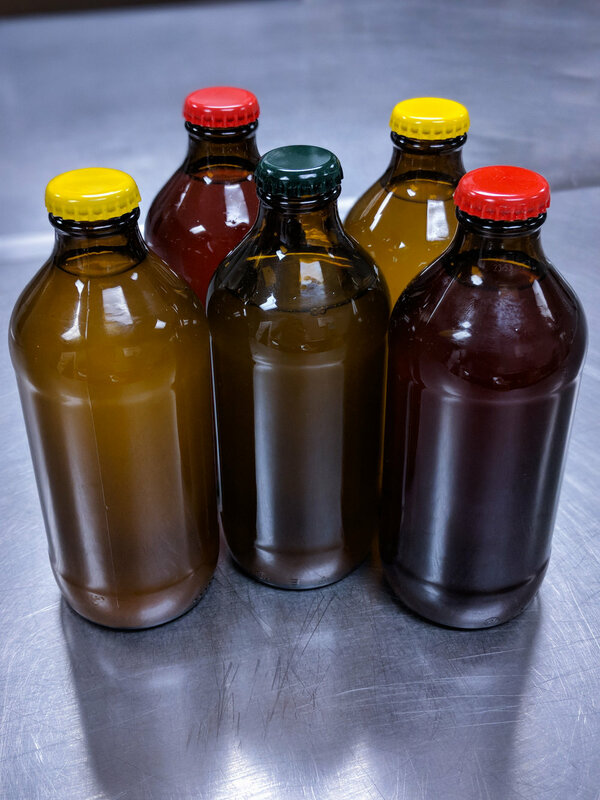 They're a combination of good bacteria, yeasts, and enzymes (probiotics) that eat the honey in our sweet tea and in exchange make bubbles and healthy organic acids. This fermentation process is natural, and is comparable to the one used to make yogurt and sauerkraut. We only ferment in glass containers. This prevents possible leaching from metals and plastics. In addition, we handcraft in small batches of 2.5 gallons. This ensures we put the most attention and care into each batch made. Our final Joon'Bucha is bottled in amber bottles only. This protects the 'buch from harmful UV rays which could kill all those healthy and beneficial probiotics!! Did you know that honeybees are the most important pollinators of food crops? One out of every three bites of food we eat is a result of pollinators like honey bees, and crops like blueberries and cherries are 90 per cent dependent on pollination. 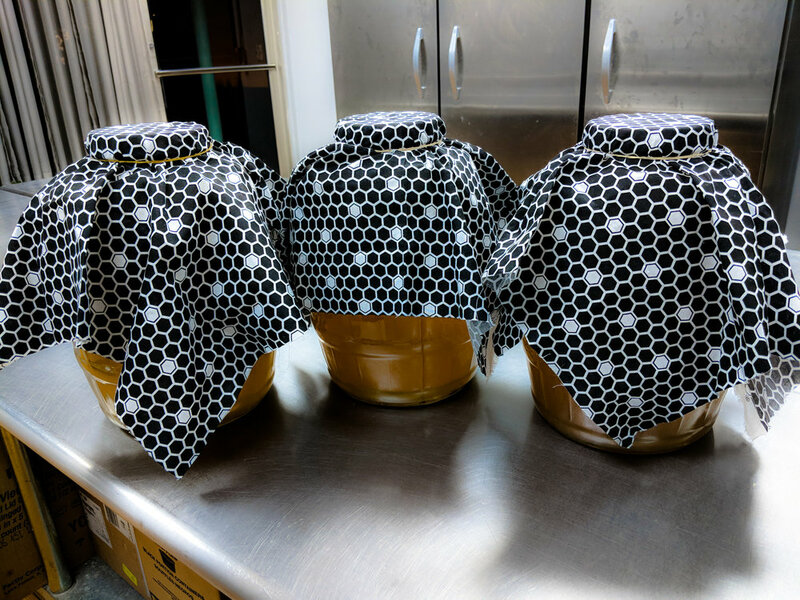 Since natural, raw honey is one of the main ingredients in our Joon'Bucha, we are huge fans of the work and effort put in by these tiny miracles! 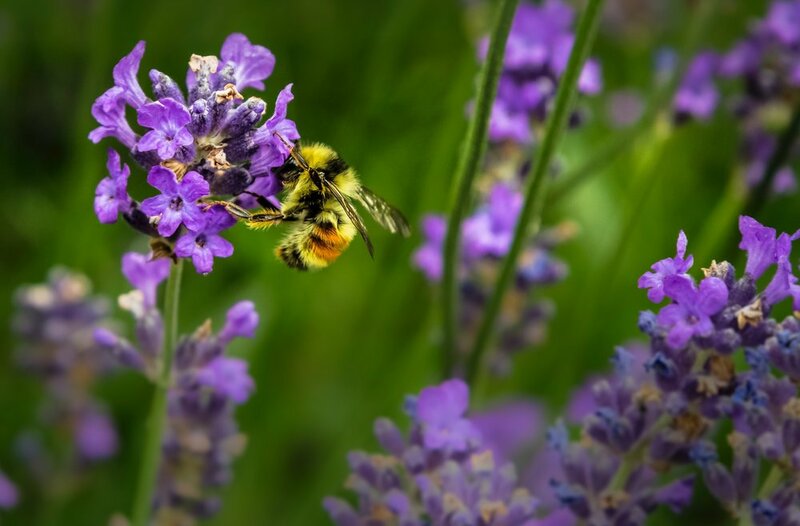 In order to lend them a hand, a portion of our profits is donated to organizations fighting hard to save the honey bees and educate others to their importance. Copyright 2017 Joon Organics, LLC.